What sets The Leventhal Team apart? What can’t be learned or duplicated, is our combined 30 years of experience and knowledge we have provided to every home buyer and seller. 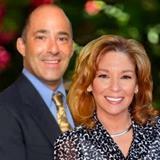 David and Wendy Leventhal, a brother/sister team, will provide the personal service of having long-term local family working together for you, to make sure your questions and needs are met. The Leventhal team works in a quickly expanding market, keeping updated on current technology and have a network that includes other professionals and many friends. 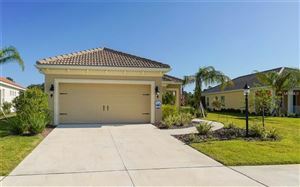 Everything you need to acquire a new home and build a new life in the Sarasota area. Have questions? Post to our blog! You need someone who knows this Sarasota/Longboat Key area inside and out! I will work with you to find the right home at the right price, with the essential criteria and all the neighborhood you require. When it's time to move, you will need someone who will advertise your home, show it to prospective buyers, negotiate the purchase, arrange financing, oversee inspections, handle paperwork and supervise the closing. I will take care of everything you need, from start to close. Oftentimes buyers don't visualize living in your home the way you do. Together, we will make your home attractive to its ideal audience - which will get you top dollar. Staging your home, making minor repairs or improvements or simply painting the walls can be the difference between a home resting on the market and a home that is sold fast. Access to Coldwell Banker connections, which includes 96,700 Coldwell Banker Sales Associates, including 12,000 Previews Specialist, in 3300 offices, in 50 different countries, over 6 continents with 286 offices in Canada alone. Listed on FloridaMoves.com which receives over 3 million visitors, from 148 countries monthly and rises to the top of searches through our 3200 destination pages. Your home will be listed under The Coldwell Banker brand. 96% of home buyers and sellers recognize our brand and our reputation for excellent real estate services. Utilize Coldwell Banker’s statewide, national, and international resources which include having the #1 market share in Florida to maximize your buyer reach. Exposure to international buyers. We are part of The Cartus Network which is the world’s leading relocation company. Coldwell Banker International receives close to 20,000 inbound and outbound referrals annually. Coldwell Banker markets continuously on TV and Radio. Running ads on NBC, ABC, CBS, ESPN, Discovery and more, to help generate consumer awareness to Coldwell Banker and our websites. Access to Online Showing Report. This report will show you the activity your property is getting from your online listing. All details regarding your open house will be submitted in OpenHouse.com so prospective home buyers have access to the dates and times. The Leventhal Team will present you with recent Comparative Market Analysis Report (CMA) to help price your home correctly in today’s market. You will receive a full service Marketing Plan. We will take photos of your home and create a virtual slide show to better enhance your property and maximize your exposure. We will create Property Information Flyers to help showcase and market your property. We will also create a video and post on YouTube. We will follow up on all showing and leads, supplying you with feedback, which will better aid in the sale of your property. We will keep you updated on your market conditions and changes. Utilize Leadrouter Technology. We will direct all sign calls and web traffic to ourselves personally within seconds. This ensures potential buyers will be calling us directly, making sure we have the best chance at selling your property. To find out more about selling your home, click here OR you can stop by our office today! The Leventhal Team proudly supports multiple area charities and organizations. Meals on Wheels of Manatee County, and WSLR community radio station. David is the Chairperson of the RASM members benefit committee and Wendy is part of the Board of Directors for Family Promise in Sarasota! "David has a great knowledge and understanding of the market. I recommended David to few friends and they were impressed by the dedication responsiveness." "David was on top of every detail during all phases of our home search. This was very important to us especially because we were from out of state. Because of David's attention to details, we found our dream home! We also had the pleasure of meeting Wendy. They are a fantastic team and I would recommend their services to anyone who is looking to purchase a home. They are hard working and dedicated. I appreciate that David continues to communicate with us even after the sale of the home was completed." "Great team! very knowledgeable and they provide superior customer service! dealt with honestly and professionally. Live and work in direct area and are well informed in all property markets." "David Leventhal is a caring listener, appropriately forthright negotiator, exhibits interested in your personal needs and limitations, and meticulously ensures accuracy in all paperwork. I have used David's services for the past three years with the purchasing of property, discussing refinancing, as well as the selling of my present home and purchasing of a new one." "Last October I was looking to move to SW Florida. I went to meet a friend on Longboat Key and my friend and I happened to walk into a Coldwell Banker office. There I met David. We hit it off immediately. Since I really didn't know what I wanted David steered me through the process of narrowing down what I wanted and where I wanted to live. I went back home to sell my other house. David kept me updated weekly on available housing and during this time he educated me about housing in Florida. Three days after Christmas he brought a house to my attention. I went down to Florida that night and placed a deposit on it. David walked me through the entire process. During this time he and I became personal friends. We've gone out to lunch several times and are planning to meet soon when my friend comes down. If you are looking for a house and are looking for honest, thorough realtor, look no further than David Levanthal"
"David and Wendy have handled three properties for me. They are very knowledgeable and efficient. As I do not reside in the United States many of the details were confusing to me. They looked after all the details and each transaction was worry free. I would definitely recommend them to anyone looking to purchase or sell in the Bradenton area"
"David and Wendy found our perfect home on Longboat Key. Tireless, thorough and honest. We would never use any other realtor for future investments or second homes"
"David took the time to review the marketplace and properties. He helped me significantly even when I decided to stay where I was. The result was I feel he is a friend that I will call upon when the time comes for me to move. Thanks, David"
"David was wonderful to work with! He is very knowledgeable and gives great advise. We enjoyed the experience and would highly recommend him for either buying a new house or selling your existing home." "I’ve worked with David and his sister Wendy since 2005. David maintains exceptional knowledge of the area and stays in tune with market trends. He also is one tough negotiator for his customers, doing what it takes to get the deal done. He is truly a full steam ahead realtor"
"David/Wendy Leventhal is a great resource on all matters involving real estate in Sarasota-Bradenton and the Keys. They are knowledgeable, straightforward, honest and trustworthy. My first call whenever I have a question or interest in any real estate in the area. I can wholeheartedly recommend them 100%"
"My wife and I were very happy having Wendy and Dave represent us in our last transactions. they helped us through this somewhat stressful process with ease and comfort. If we had questions, they always responded to calls and emails. Thanks alot"